Your WordPress business site isn't something you can just forget about, once it's live. Like a car, it requires ongoing maintenance to keep it running in optimal condition. 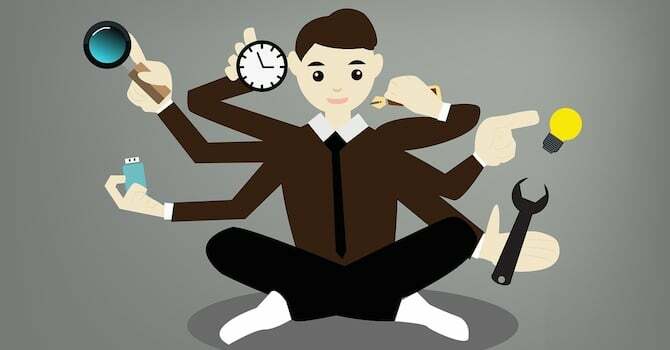 But how can you find the time to do all those maintenance tasks? You have a business to run! There's a solution, though. It's not a quick fix – it'll take some time to set up initially, and you'll have to actually follow through on a consistent basis, which also takes time and energy. But in the long run, it will save you time and energy, and it will help prevent the serious problems that result from neglecting your website's maintenance needs altogether. Let's see how to keep your site up to date – in a professional way. Business systems help you save time by harnessing the power of habit. When you formalize a routine and do it consistently enough, it becomes automatic – a habit – and requires less effort to complete. You can then focus on the efficiency of your processes and experiment with minor tweaks that help streamline things even further. More importantly, systems help you scale your business, allowing for more generous growth without driving you insane or broke through outsourcing costs. Identify the tasks in your system. In this artice we have given you a head start on some important and specific tasks below for your WordPress website maintenance system. List out the steps you typically take to complete those tasks. It's very important to document your current process first, exactly as you usually complete the tasks in question. Analyze your usual process for efficiency. You should make necessary adjustments to streamline and simplify your process wherever that's possible to improve efficiency. Revise your list with any changes made in step #3 and add it to a formal systems document. If your online business grows so much you will need to outsource tasks, your systems document becomes the start of your training manual helping to improve work flow. We have listed several of the most important maintenance tasks for WordPress websites below, in descending order of suggested frequency. The exact timing for your site might depend on how many authors you have contributing text or images, how frequently you update your website, traffic, etc. The most crucial WordPress maintenance task, of course, is keeping your core, WordPress plugin, and theme files – up to date. New releases and updates give you access to new features and fix the latest bugs. More crucially, failure to keep WordPress website files updated is one of the most common reasons behind WordPress site hacks. Create a system that ensures a smooth updating process as much as possible. Consider creating a duplicate version of your WordPress website on a local drive or a staging server, then try out all major updates there first, before rolling them out to your live site. Automatic updates may be convenient, but they could also break your website if a conflict develops with an installed WordPress theme or plugin. You can discontinue automatic background updates, and you'll want to double check reports of compatibility in the WordPress plugin directory. Always back up your site prior to updating, as well as on a regular schedule – daily if you update your site several times a week. Otherwise, weekly is probably sufficient. The best system for this task is a hosting company that does it for you. The next best option is a plugin, such as Backup Guard or UpdraftPlus. Look for options to schedule automatic backups and store files offsite. Review any comments for spam, whether captured as such or not, and delete accordingly. Then review actual, valuable comments that users have left and respond to them. You may also want to email new commenters; it's a great way to encourage them to visit again. It also makes an excellent impression, since most website users don't take the time to connect in this way. Once a week, check Google Analytics (or whatever analytics tool you use). Look for pages that are performing exceptionally well, and think about what you can do to help them even more: update the information on the page, promote the page in a different way, or perhaps include a content upgrade, such as a downloadable checklist. Review how users behave once they're on your site. If your bounce rate is high, compared to your industry average, what can you do to work on that? Periodically, examine your site from the perspective of your average user's experience on the site. Here, we're talking not just about UX specifically but the entire site. Is everything working the way it should? For example, for our contact page, we would test the form out fully, and make sure the links to our Facebook page are working properly. Also ask yourself whether every element on each page is necessary. Simpler pages reduce friction, resulting in a better UX and faster page load times. Go through drafted WordPress posts and pages and empty the trash to free up server space. Likewise, delete WordPress themes and plugins you've not been using anymore for long time. Optimize your database with a suitable WordPress plugin such as WP-Optimize or any other. Scan your WordPress website for malware, malicious scripts and any signs of hacking; you can for example use Sucuri's online SiteCheck tool or the Wordfence plugin to achieve this. Update the portfolio on your WordPress website (if you have one) with new work samples. Check all outgoing and internal site links to make sure they're not dead or have typos, etc. Use tools such as Dead Link Checker or the Crawl Errors tool in Google Search Console. Check your 404 page if everything is where it's supposed to be and update if necessary. Update personal contact information on your site, your About page, and your Contact page. 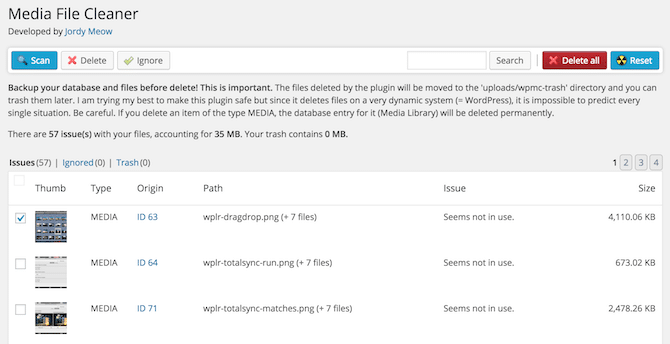 Clean out your WordPress media library – optimize your uploaded images by using image optimization plugins for WordPress. Don't simply delete files – they may be used somewhere, even if they're unattached. The WordPress Media Cleaner plugin can assist you on this. Audit your website content that has been previously published. Can you update it or improve the SEO? Pay special attention to your pages and posts that get the most traffic naturally. And don't forget to further promote any piece again if you've updated it. Use the provided tips in this article, and the specific tasks we've listed above, simply as a jumping-off point. Every WordPress website is different, and you'll need to find what works best for you and your online business. Did we forget to mention an important maintenance task? How do you handle your own website maintenance? Feel free to share your thoughts in the comments section below.